Gorgeous Oldenburg state premium and elite mare with exceptional elegance, top character, excellent rideability and an incredible pedigree that includes the top dressage producer Rohdiamant/Lisa Wilcox. The mare is in foal to Floriscount (Florencio/Donnerhall) for 2019 and has a beautiful colt by Fahrenheit at her in 2018 . Donna Rubina is a state premium and elite mare, who is performance- tested and registered in the Oldenburger Main Stud Book. She has the distinction “Elite mare” based on the fantastic quality of her four premium foals that all have her elegance, exceptional movements and very sweet character. 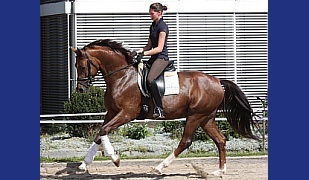 This mare has a truly impressive, absolutely first-rate pedigree that includes three generations of elite mares and the lines of Germany’s most successful dressage producers. 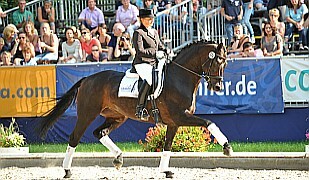 Her dam, Elite Mare Fürstin Rubina, is one of the last important mares of the world dressage champion Fürst Heinrich. Also she is sister to licensed breeding stallion, PSG horses, elitemares..
Grand dam, Royal Rubina, (dam of the licensed breeding stallion Jazz Rubin) is a full sister of the top sire Rohdiamant/Lisa Wilcox. 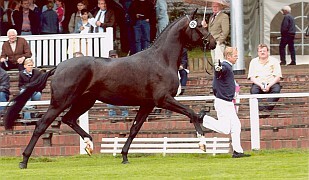 Her sire, Dr. Jackson, is in the top 1 % of the German breeding list for the last eight years. 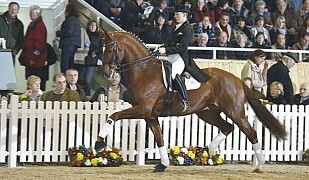 He has gained a reputation for producing top contenders for the international dressage scene (for example, the Grand Prix gelding “Douglas”) and is known for passing on his excellent rideability to his offspring. 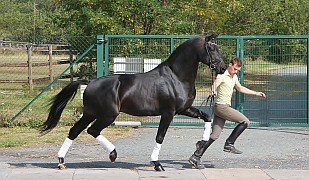 He was himself highly successful as a youngster with several times a finalist at the German Horse Championship and twice champion at the Southern German Championship. 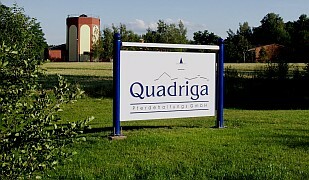 At his successful stallion performance test, he scored in the dressage element a total of 132.4 points and received five times a 10.0, including a 10.0 for rideability. This proven sire seamlessly continues the successes of his ancestors, among them Dream of Glory, Donnerhall, Pik Bube I, Rubinstein I, Ramadour II….